Also in attendance were 17th Police District Sgt. George Rechner, Philadelphia District Attorney Spokesperson Leigh Owens, Chief Deputy General of the Gun Violence Task Force Brandon O’Malley and Assistant District Attorney Jude Conroy. 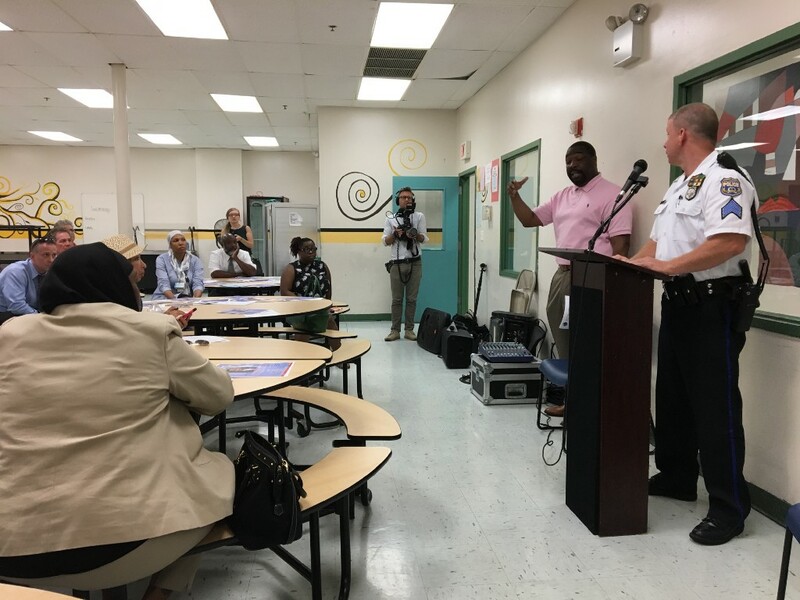 City Councilman Kenyatta Johnson held a public community meeting with various community leaders last Wednesday to discuss recent violence in the neighborhood at Universal Charter Institute on the 1400 block of Catharine Street. “The purpose of this meeting is to address the issues and concerns of residents regarding violence in the neighborhood,” he said. Also in attendance were 17th Police District Sgt. George Rechner, Philadelphia District Attorney Spokesperson Leigh Owens, Chief Deputy General of the Gun Violence Task Force Brandon O’Malley and Assistant District Attorney Jude Conroy. Rechman said that while “overall shooting was down” in the surrounding area, “we are seeing sporadic gun violence” as well. When the meeting started off, many residents raised concerns about suspicious behaviour and other incidents in the vicinity of the Sunoco gas station on Broad and Catharine. However, Owens said, in future situations, residents can reach out to the city’s public nuisance task force to report similar problems. The contact for the task force, Andrew Jenneman, can be reached at 215–686–5819 or Andrew.Jenemann@phila.gov. O’Malley and Conroy used their speaking time to talk extensively about issues with getting witnesses to talk. Conroy talked about the city’s witness relocation program, which relocates witnesses who may be testifying against alleged criminals in court to a safe location in an effort to avoid retaliation. Conroy encouraged residents to purchase security cameras for their homes and register them with SafeCam, the city’s database for resident cameras, which allows city officials to reach out to residents to acquire footage of their security cameras if necessary. Conroy said that in many cases, cops can identify alleged criminals from security camera footage alone, having encountered many of them in previous incidents. If you are involved in or witness a crime, you can call the Philadelphia Police Department’s anonymous tip line at 215–686–8477. For more information about safecam visit safecam.phillypolice.com.